The paintings for this set were created during a residency at Applewood Orchard, through the Art Farm Trail Program organized by the Wallkill River School. 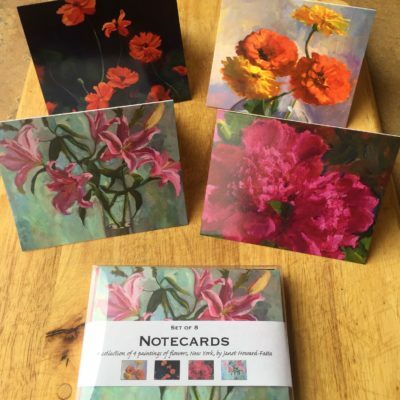 These were my favorites that I selected for the notecard set. I think together they are a nice grouping. They are blank on the inside. I use them for everything – thank you’s, birthday’s, thinking of you, and more. 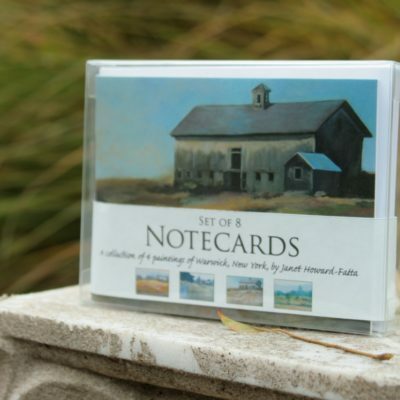 This set comes with 8 notecards, with 4 different images. Two of each painting. It also comes with 8 envelopes. Available in Warwick at Newhard’s and Conscious Habitat.